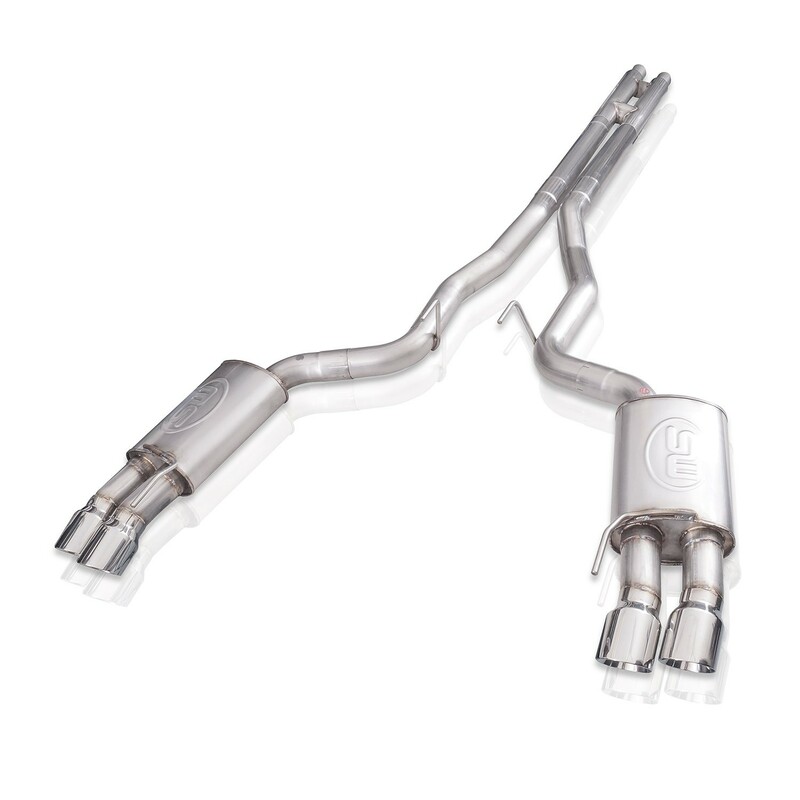 In addition to the tuned mufflers, we’ve also utilized 3” tubing into our h-pipe crossover for an improvement in flow over the stock exhaust. Finishing the system off we utilized polished quad tips with a double wall conical style. This system is built from corrosion resistant 304 stainless steel and TIG welded at our state of the art facility in Streetsboro, Ohio. As always we stand by our products with a lifetime warranty on material and craftsmanship. Not confirmed to fit convertibles.